Stanley and I had been working together for some time before we made this record. We often talked about the possibility of recording an album together and Epic agreed to let us do it. The interesting thing about this record is that it is a power trio record. Stanley and I decided right away that this record would live or die by us; that we had to be the focus of this record; not the orchestration, not the background vocals, etc. The music had to emanate from us and by us, and that would make it unique. Stanley and I decided to make a totally different record from what the record company expected. We felt we had to stretch the boundaries. I'm sure Epic thought they were getting a fusion jazz record; But Stanley had played all the Return To Forever music he cared to by this time. The largest surprise for Epic was the song we chose as our first single from the record, "Sweet Baby." In fact they fought us on this track. The R&B department said it was too white and there was nothing they could do with it. The pop department said we were black artists with a white record and that they didn't have the time to promote this record at pop radio. So Stanley and I went to an independent promotion firm (Cliff Gorov) to push this record, and in essence bypass CBS. Well, needless to say, when the record began to make some noise, CBS jumped in as if they were there all along and brought the record home. I wrote "Sweet Baby" while looking over the water one afternoon in Berkeley, California while we were already in session for the project. It was written very quickly, and I called Stanley, who was in the room next to mine, and told him to come over and listen to this little pop song. I thought he would hate it, but just the opposite happened. We went in the next day and recorded it and the rest is history. To date, it is my largest across the board hit record. I finally made the top ten pop charts, WOW! We chose John Robinson as our drummer because of his strong steady approach to rhythm. He was with Rufus and layin' it down real hard. He was perfect!! Stanley and I were constantly on the road, doing television shows, or whatever. I broke up my band during this period and everyone went their separate ways. One thing I should mention that meant so much to me during this period, was a congratulatory phone call from Quincy Jones. After we hit the top ten, Q called me just to say "a job well done" I'll never forget that gesture on his part. "Q, I'll always love ya!!" Don't ask me why we did so much singing, but we did!! We wanted to make an instrumental record with vocals as a vehicle to communicate. Besides, instrumentals were not and still are not played on top radio formats. We went after this one and were fortunate to realize our dreams. We became R&B/Jazz/Pop stars for a moment. This LP also became the vehicle for my first video. Actually, it spawned three videos. I can remember that Stanley and I were extremely upset that MTV would not play any of our videos because we were black artists. I guess they can't be accused of that now! Oh yeah, we got a Grammy Nomination, but lost. It was 1981. This LP was released in 1982. The reason there is such a space between this LP and my solo record proceeding it, is that my production schedule was full, and I was touring with Stanley Clarke. This LP contained no big hit in the US, but made me an International star with my first major hit in Japan with the song "Shine On." The song was basically a dance song that caught on in Japan for some reason, and made it difficult for me to walk down the street in Tokyo without being recognized and followed by young girls. Weird huh? This just doesn't fit my profile. Well, my first tour as a solo artist in Japan came about as the result of this tune. I made appearances on Soul Train and other music TV shows and had moderate success with this record in the US. Again, there are a lot of vocals in this record, and is still influenced by EWF. In terms of the band, Ndugu is back on drums, and Byron Miller on bass. In fact, I had broken up the band, and this was my first record I had recorded in sometime without my vocal comrades sharing the lead vocals. Mike Sembello was the guitarist. So, the rhythm section was intact at least. By the way, Sheila Escovedo left The Duke and joined The Prince! When I recorded "Reach For It," there was enough music for an additional track. So, I relistened to the original tape and "Son of Reach For It" began where the original left off. The original was so strong that I was convinced "Son" would garner as much airplay, because after all, it was the same track from the same session. 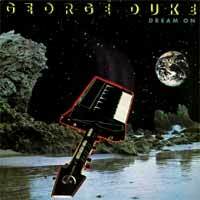 But as fate would have it, it did not get much airplay, though it was still extremely funky. I had so many requests regarding "Someday," that I decided to re-record it the same way I did the original, just Ndugu and me. But alas, the original had a special feel and the new one, though good, did not have the vibe of the original. The reason I re-recorded it in the first place, was that MPS had very little distribution in the States and I thought I might have a shot for extensive airplay with the proper push. This became the last record I did with Kerry McNabb. He was so great - a tremendous loss to the world of music! After this record, Tommy Vicari worked for me full time. Oh my God!! Stanley and I found the drum machine. Well, too late to do anything about it now. It was a well produced record overall, but failed to capture that true Clarke/Duke essence because there was no live drummer bashin' and crashin' on most of the tunes. We were sort of a product of the time. A lot of music sounded like this during that period. We made the mistake of not depending on ourselves, like we did on the first record. Now that doesn't mean there were no good moments. The best thing about this LP was the video. It was cool!! The song "Heroes" became the single for this LP. It had moderate success. Some of the music on this record sounds like the Flash Dance Soundtrack without Mike Sembello singing. Actually, I think I actually started singing pretty well by this time. I still had some range (which I've lost now) and began to sing like a singer instead of a musician singing notes. Actually, the entire record is not drum machine, fortunately. John Robinson, Narada, and Billy Cobham played on a few tracks; and Jeffrey Osborne (who I had just produced a top ten single for) and Howard Hewett from Shalimar contributed some vocals. I had begun to use another young engineer named Erik Zobler around this time (who is still my engineer today). He started with me as a second engineer and worked his way up to big chief, head honcho engineer. Erik recorded some overdubs, but at that time, Tommy was still my main man and mixed the record. Actually, Stanley began using Erik to record his solo records for awhile. Although there were some special moments on this LP, overall it didn't make a statement and as a result was a failure as far as I'm concerned. The year was 1983. I was exerting so much energy producing Deniece Williams, Jeffrey Osborne and others, that in terms of focus, I let this one slip away. This was a big project. Though it met with moderate success in the States, "Reach Out" became a smash hit in France. It was all influenced by Star Wars. The LP is the soundtrack to a script I wrote based on a fight between good and evil in a science fiction fantasy world. The musicians include John Robinson and Ndugu on drums; Louis Johnson from the Brothers Johnson and Byron Miller on bass; and Mike Sembello on guitar, and a host of string, brass and percussion players including my buddy Paulinho Da Costa. The songs sort of work with, and in an altered state to the text. It is interesting because I don't believe anything has been done quite like this concept, using essentially R&B and jazz elements. It's like having two different time lines that coincide with each other. It is basically a well-produced set of music. It was important for me to write, produce, arrange, and orchestrate all the songs, in order to fully achieve what I saw in my mind. This is not a CD but a DVD that was first released as a laser disc in Japan. I owned the rights for the rest of the world, so I went in the studio, added footage and created a new 5.1 and stereo mix for a DVD release. This was recorded after I had stopped touring with my regular “jazz/funk” band. 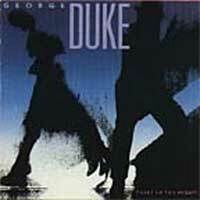 This lineup was the first Duke solo band that I took to Japan. The band included Louis Johnson-bass, Steve Ferrone-drums, Paul Jackson Jr.-guitar, Robert Brookins-synths, Lynn Davis and Marci Levy-vocals. We recorded three shows at different locations, but this show was the only one that would make the grade. 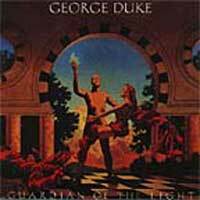 I had just released the “Guardian Of The Light” album, so some of the songs here are live versions of that material. My last record for Epic as a solo artist. I was feeling that I needed a label change, and I knew this was it! I met Steve Ferrone (Average White Band) through Jeffrey Osborne. He was another real solid drummer that I wanted to be part of this record. Also, Ndugu plays on a few cuts. I believe this is the first time that I used Paul Jackson on guitar on one of my records. Man, what a funky rhythm guitar player. Mike Sembello is back on board as well. Paulinho does the honors on percussion. Basically another record full of vocals. Most of the music is for dancing. You know, the 80's were full of this stuff. Not my favorite thing to listen to today, but it does bring a smile to my face in spots. Overall not a great record, but it does have some nice moments. 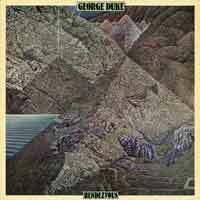 One nice moment is a solo by Ernie Watts on "Take It On." 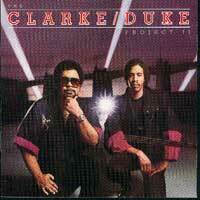 "She Can Wait Forever" was written by a great young songwriter from LA that played second keyboards for a brief time with the Clarke/Duke Project. His name is Jeff Lieb. You know it's funny to hear me sing that high. I absolutely cannot relate to all that high singing now, it sounds like somebody else!! Well, I had another salute to Jimi Hendrix with "Better Ways." It's kind of a funky rock n roll tune. I always liked these kinds of grooves - they're just so wide open musically. The last tune on the record is a shout back to my Brazilian influence. It's a nice tune that has a lot of singers on the chorus scatting a melody line. It's 1984 and the end of my solo career at Epic Records. The last few bars of this record demonstrate the finality. My first LP for Elektra. Boy was I thrilled! But at the same time I was scared. My lawyers had secured me a lucrative contract. I was being paid more than I ever got from Epic, so I knew I had to deliver!! Bob Krasnow, who ran the label at that time, had a lot of faith in me and gave me much encouragement, but I was still scared. The year was 1985. The truth of the matter is my years at Elektra were the worst in terms of creativity and success. Not because I was forced to do what I didn't want, but because the music biz had changed, and I wasn't sure where I fit anymore. Again, that's not to say there aren't some absolutely wonderful moments on these records, but as a whole, all three would have been better scaled down to one record utilizing the best moments. However, let me talk about them one at a time. Again, there is a lot of singing. I felt the only way to success was not as an instrumentalist but by using my lesser talent of singing. Despite all, there were some great musicians on the record. Steve Ferrone did the majority of the drumming (aside from the Synclavier drums); Paul Jackson on guitar, Paulinho Da Costa on percussion; and Louis Johnson on bass. I had some valid musical ideas, but they just couldn't be sustained by my vocal ability. In other words, in general the material is good, but I should have used other lead vocalists whose voice and vocal ability fit the songs better. "I Surrender" would have probably been a hit with James Ingram singing it. "Remembering The Sixties" would have been a hit with Stevie Wonder singing. The same is true for "We're Supposed To Have Fun." I did do a decent job on "Love Mission" and "Ride" though. I didn't figure out until Night After Night, what kind of material I should be doing vocally, which came to fruition in my first Warner Brothers record Snapshot. In the end, it was a real simple answer. 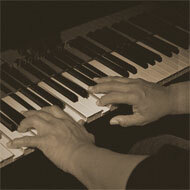 Keep it real, falsetto is your thing, and don't abandon piano as your main instrument!! I had forgotten what made me, ME! Tommy Vicari and my new friend Mick Guzauski engineered the LP. This became my last record engineered by Tommy to date. Overall not one of my better efforts as a project, so, in the end, I didn't deliver! This LP was kind of bold. It is a cross between tunes with big drums that are kind of jazzy and funky at the same time; and Pop/R&B tunes. "Broken Glass" actually became a little bit of an underground dance hit. Except for Kevin Chokin on guitar, it was all played on the Synclavier. Kind of funky though!! I really thought "Good Friend" was going to be a hit record. I mean, with Jeffrey Osborne, Stephanie Mills, Irene Cara, Joyce Kennedy, Kenny Loggins and Deniece Williams sharing the lead vocals, what would you expect. It's a nice song with a positive message, at a time when these kinds of records were really selling. In the end, I truly believe that Elektra dropped the ball on this one. Overall, this is a much better record than Thief. I've remembered that I am an instrumentalist who sings a little for orchestration and variety, and not afraid to use real singers when necessary. "So Mean To Me" was originally written for a movie called Heavenly Kid. The movie only lasted a week at theatres, but the soundtrack I produced was really pretty good. "Stand With Your Man" reunited my old band for a funk delight. In fact the record is basically the same rhythm section I'd used for years. A new guy in LA (now with Diana Ross) Kevin Chokin fills the guitar chair. He's quite funky!! Also Paul Jackson and Michael Landau appear on the CD. "King For A Day" is lead by Howard Hewett who is such a great singer! "The Morning, You & Love," I also thought had a shot at garnering some radio play, but alas, this was not to be. In the end, timing is everything. This song was written in the style of "Sweet Baby," but the Gods of radio were into a different vibe by that time and this record slipped through the cracks. "I Can Make It Better" was sung by Robert Brookins and Sue Ann Carwell. 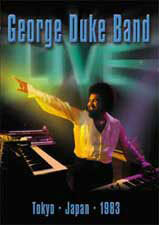 You might remember Robert from working as second keyboard player with Clarke/Duke. He is now with Earth, Wind Fire. The year was 1986. "African Violet" became a record hit at Wave Radio. If features my cousin Dianne Reeves. This CD, though basically a nice record, was not the success we were looking for. By the way, Erik Zobler was the engineer for this CD. He is still my engineer today. It took a few years before I was ready to record another CD. 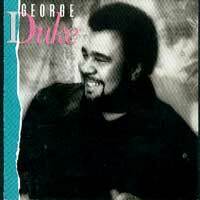 With the mediocre success of George Duke, I needed time to think about my musical direction. Also, I had many A&R meetings with Bob Krasnow about the direction for the project. I would try a few things, send them to him for his reaction, and so on and so forth. I had never been in that position before. By the way, that goes on in the biz everyday, but not to me!! I went along with the program since I knew that if this record didn't do well, that it was curtains for me at Elektra. The year was 1989 and overall, I actually like this CD. I did much of the work in the Synclavier with overdubs by John Robinson and Rayford Griffin on drums, and Paul Jackson and Michael Landau on guitar. The record is really instrumental with vocals used like orchestration. Actually, since this record went out of print, it has been one of my most requested CD's. It was important to me that the instrumental nature of this record be quite evident, and I think I accomplished that. However, in the end, this is another one Elektra lost. This CD should have done much better than it did! There are some wonderful moments on this CD. I'll leave you to find them. ---Well, OK, if you insist, I'll give you some of my favorites. I love "Say Hello," "Children Of The Night," and "Rise Up." They do it for me, musically and lyrically. "You Are The Only One In My Life" has some nice moments as well. Many people have complained about "Brazilian Coffee" being so short, but that's all there is! "This Lovin" definitely has a vibe. I love to play this one live. "Mystery Eyes" is a story that actually happens from time to time. Feelings don't play by rules, and love isn't learned in school. Besides the fact that I like the majority of this record, it does not mean that I found my niche for the 1990's; it means that I was closing in on an idea which culminated in Snapshot. 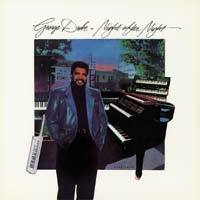 Night After Night was the seed for that record. Anyway this was my last record for Elektra, and it was mutually decided that I not make any more for them. In fact, before I put this CD out, I asked Krasnow to let me out of my agreement and cut his losses. I just knew instinctively, that this was not the company for me, at least at that time. 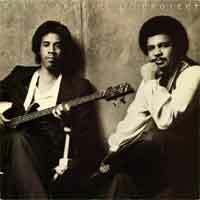 Besides, Stanley Clarke and I had agreed to make another record together, and I was looking forward to that!